This book represents trim carpentry for the home at its most basic level, with all the unnecessary material stripped away. Featuring 24 step by step trim projects shown with clear color photos, it is a value priced offering that appeals to today's most practical homeowners. 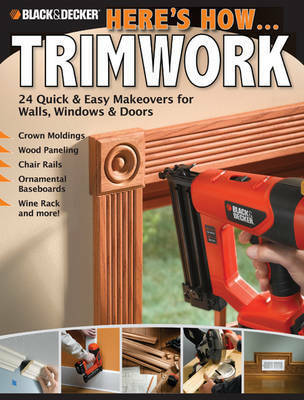 If your goal is not to become a professional trim carpenter, but to simply Install crown molding in your dining room or frame a new window with casing, this is the no frills resource you're looking for. Based in Minneapolis, MN, the editors of Creative Publishing international have produced dozens of America's best-selling do-it-yourself books on home repair and improvement.